In the tutorial I’m showing how to install whois client in Ubuntu. 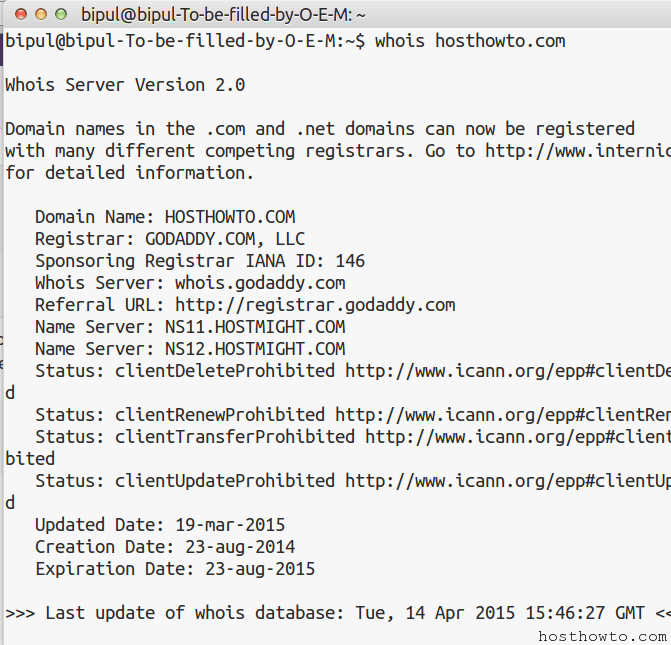 Whois performs the registration record for the domain name or IP. To install whois client in Ubuntu run below command in terminal. Now your system is ready for whois command.